It is our fundamental conviction that ministry is not meant to be done in isolation nor alone. Christian ministry is divinely designed to be a team sport, which requires partnering within the local church and between pastors and people. Moreover, game-changing contemporary ministry in the local church has always required deep thought, much prayer, and interactive and imaginative dialogue with people who may not be in your context, yet share your commitment to progressive, prophetic and praxis-oriented ministry. What’s more, others outside your context may be able to provide or strengthen innovative perspectives on your pastoral work, helping you to troubleshoot obstacles and transform your current church’s potential. Hence, the value of Rethink and Retool. Rethink and Retool is designed to provide an intimate, transparent and creative incubator for discussing pressing issues and teasing out real-time, relevant answers. The presenters at Rethink and Retool are top-notch, thought-provoking, praxis-oriented pastors. Assigned the responsibility of facilitating a conversation, which flows out of the wealth of their experience, expertise, and education, the presenters—some male, others female, some at large churches, others at smaller ones (see below)— do not presume to know your church better than you do. Quite the contrary, hosts and presenters believe the Holy Spirit has placed the applicable, scalable answers for your church inside of you. Their task is to share biblical principles and best practices which you can contextualize for your church and community. 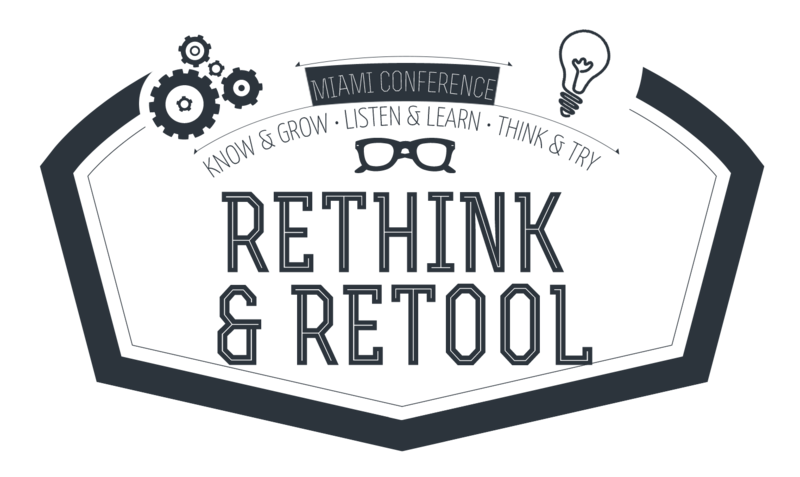 Rethink and Retool happens over a two-day (2) (eight (8) hours per day) period, with breaks and meals in between sessions. Each day will be completed by no later than 4:30pm, which gives you the rest of the day to explore and enjoy the surf and turf of Miami. Few other destination cities in the US enable you to escape the pressures of pastoring, hit the beach and soak up some sun, then sample inviting and popping night-life—all in the dead of winter. Therefore, join us in Miami, where like previous attendees over the past 8 years, you can simultaneously get a break and a blessing. Moreover, come a few days early and/or stay the rest of the week which will allow you to max and relax, detox and dream. After that, we are willing to bet that you’ll be able to return to your church with a renewed sense of energy, excitement and expectancy. Registration Fees include: Breakfast & Lunch (Monday & Tuesday and coffee breaks (morning & afternoon). Rev. William D. Watley, Ph.D., Senior Pastor, Saint Philip AME Church, Atlanta, GA. It can be very difficult to leverage the expertise, resources and energy of volunteers to do ministry. This is partly because too many members want to be serviced by the church but do not want to be of service to the church. Largely though, it’s because most would-be volunteers and actual volunteers are overwhelmed managing their multiple commitments. Learn how to minister to your volunteers by setting things up to get done quicker, easier and better. Most staff members are productive, committed people who love their church and their pastor. However, it can be like “herding cats” to get the staff and volunteers to work together, using an Ephesians 4 model. Still, you can discover the secret to inspiring synergy and unity, creativity and productivity through this session. Dealing with the maintenance issues of church can be mind-numbing and creativity-zapping. Therefore, it can be helpful to hear cutting-edge and creative ministry ideas from others who may rekindle your imagination and passion for things which move the church forward. Few mentors or seminaries take the time to school ministers about how to raise money for the church and how to create additional streams of income for themselves. It’s so ironic because one of the chief tasks of any pastor is to know how to raise money. Also, one of the chief qualifications of an elder is that he/she must manage her/his household well, which includes generating adequate income and managing money wisely. Through this session, learn how to think about, attract and invest money - yours and your church’s. It’s a no-brainer: If you can’t organize your life so that you are more efficient and effective, you’ll never enjoy a happy life at church or at home. You have a system of doing things, but the question is this: How well is that working for you, your family, and your church? Through this session, you’ll be introduced to a “more excellent way,” which may result in you making a few key tweaks to your current approach. Our country, families and churches are in debt. Debt has a stronghold around our throats, which is making it increasingly hard for the average parishioner to survive and placing the church in a position of making bricks without straw. In this session, we learn how we can break free of the debt-based system rather than simply grinning and bearing it. Urban and rural churches are confronted with the reality of either plateauing or decreasing in giving, while experiencing a surge in demand for assistance from church members and members of the community. Scarred and stressed out, the church often begins to shift from active engagement in the mission of Jesus Christ to institutional survival, which is the quickest and surest way for the local church to die. Through this session, you learn how to identify unrecognized and underutilized resources to do relevant and real ministry and mission. Ministers cannot give what they do not have. To have something to give and be grounded, we must remain tethered to our chief resource: Jesus Christ. In this final session, we will be reminded, lovingly and practically, how to keep going and growing.